For many of those who have been left behind, the sudden disappearance of millions of people throughout the world is completely baffling. For Judd, Vicki, Lionel, and Ryan--four kids who have lost their families--the explanation couldn't be clearer: the faithful have been taken to heaven in fulfillment of Biblical prophecy. With no one to turn to but each other, the four young people have banded together, finding strength in their faith. So when Ryan discovers some unbelievable news regarding Lionel's uncle--who authorities had reported as a suicide victim--Lionel's friends are willing to walk through fire to help him learn the truth about his uncle's fate. 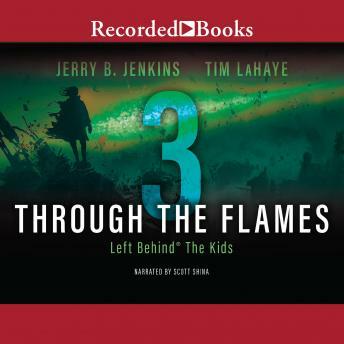 Based on the thrilling situations from the best-selling Left Behind series, Left Behind The Kids looks at God's ultimate plan for the world from the perspectives of four young truth-seekers. Scott Shina's brilliant narration brings out all the fiery action and illuminating insights.